It is so rewarding and amazing to have a parent actually listen to a teenager and do some of the things I suggest. Sam for example didn’t have to ride the short bus even though his principal told him to but his dad asked me and I said it would hurt him more than help him. Liam’s mom wrote to say she stopped yelling at her son because of my blogs. 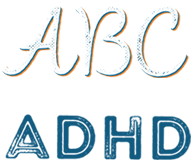 Here are 10 Things I think parents need to know so that they can actually help their kids with ADHD and support them. Don’t worry about spoiling us, we need all the help we can get. Listen to your ADHD Kid every day. Without anything else going on, sit near us and ask us questions about what is going on for us… then just listen. Ask, nod, acknowledge you heard us and listen. Believe us. One way to turn a frustrated kid into a responsible kid is to believe us when we say things. If we say we are being bullied by a teacher, chances are it is true. If our head hurts, or we say we are getting picked on by our brother, it’s probably true. If we are sad or whatever, just believe us and ask us what we need from you. Don’t talk about ADHD Kids in front of others as if we were not there. If you need to talk about our ADHD with another adult, include us in the conversation. Make it normal for us to talk about our ADHD and ask for our input. If you don’t have something good to say, then don’t say it — especially if we can hear you. It doesn’t help. Get us help with our homework. Keep trying until you find someone who is calm enough to help your ADHD Kid with their homework. Chances are it is NOT you. Parents have expectations that can make it hard for them to help their kids. Look for a university or high school student needing volunteer hours — or if you can afford it, find a professional tutor that understands ADHD Kids. I did all of Grade 10 online with the help of a tutor in about 4 months. As soon as my mom and dad stopped being the ones to help me with homework we stopped being frustrated with each other. Don’t make rules that an ADHD kids can’t live by even though they might be OK for other kids. For example, keeping us in a sport or activity for the whole year because we “made a commitment,” could actually harm us. Sometimes we need to stop being somewhere because the pressure from adults, other kids or just trying to do it or fit in is WAY to hard. Instead offer an alternative activity to replace the one we are struggling with. Other rules that might not help us would be like sitting still or keeping their chair straight. It just isn’t going to happen. Enforce good routines for things like hygiene, eating and taking care of ourselves. Remind us to brush our teeth, take a shower, and wear clean clothes. You may have to remind your ADHD Kid every single day and that is OK. Don’t give up on us. Doing this will help us socially in school and feels better. Some of these things are boring or we forget about them, so we need your help to remember. Don’t get mad when we lose things, because you can be sure it’s going to happen pretty much every day. Instead help us first find it then help us create systems and structures for putting things away that get lost all the time. Help us by adding some items that keep our stuff in one spot. A coat rack at the front door, a box for our cell phone on the kitchen table, a mat for our shoes. The more things that have a place to go, the easier it will be for us to keep track of them. Don’t take someone else’s side against your ADHD Kid — at least not publicly. If there is a problem, get the data you need then take the information home and calmly get the rest of the story from your ADHD Kid. Just because an adult has a problem with us it doesn’t mean we are necessarily out of line. Adults can be cruel, mean and make poor judgment calls too, especially if they don’t understand ADHD Kids. I’m not saying we are always right — just remember to get both sides of the story. Do our siblings do better in sports? Are they getting straight A’s at school, compared to our lower grades? Please don’t compare us to them. Every human is an individual and brings something cool to the family. If you focus too much on how well we do in our school work, you may miss building us up for what we can accomplish in other areas of our life. School work may not be our thing but if we come out of the experience whole, healthy and happy, then we can contribute something else to the world. Ten – Hold us accountable. Don’t let us smoke pot, steal, be disrespectful or fail. Love us enough to be firm and fair. Remind us of our future goals when we are out of line and help us through bad decisions. Be courageous enough to set boundaries. If we are talking back to you or breaking rules, calmly and firmly stand up to us. If you give us a punishment, keep your word so we know you mean it and that we are safe in our family even when we are off track. Can you see how talking about this stuff really helps? Ask your kid what else they honestly would like to see on the list and post it as a comment below!